For best results, these adjustments should be made by a therapist. 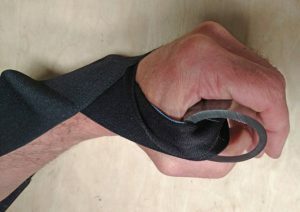 In some cases, the Velcro around the handle causes discomfort along the top of the hand when in the standard position. 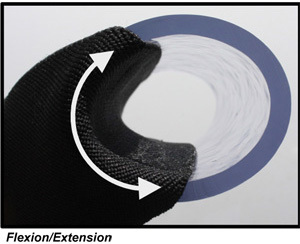 Folding the Velcro from the finger area toward the thumb results in a larger opening. 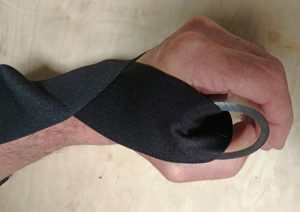 Fold elastic in half by taking finger edge of elastic to thumb side.